A great home for a family that would really love to have more space for additional family or extra income. On 2 levels, this 2250 SF home has 3 bdrms & 2 full bthrms on the main plus there are 2 bdrms, a den & 3 pce bthrm below. The light filled main has living / dining room w/peaked vaulted ceilings & opens to an updated kitchen leading out to a covered outdoor deck looking out to Indian Arm & Belcarra. 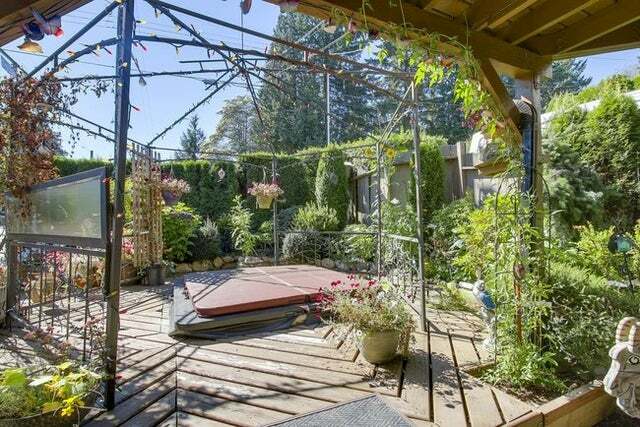 The lower level is a registered suite w/gorgeous, private gardens & hot tub. Deep Cove is a desirable area featuring easy access to miles of trails, biking, kayaking, sailing, cafes & coffee shops to enjoy the many charms of the Cove. Lot Size 3840 Sq. Ft.